Hi there friends, how is everyone. It’s Andrea from The Cottage Market. 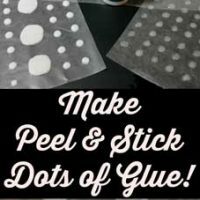 Dropping by today for another quick and easy DIY Project using another one of the Graphics Fairy’s FABULOUS Vintage Images. 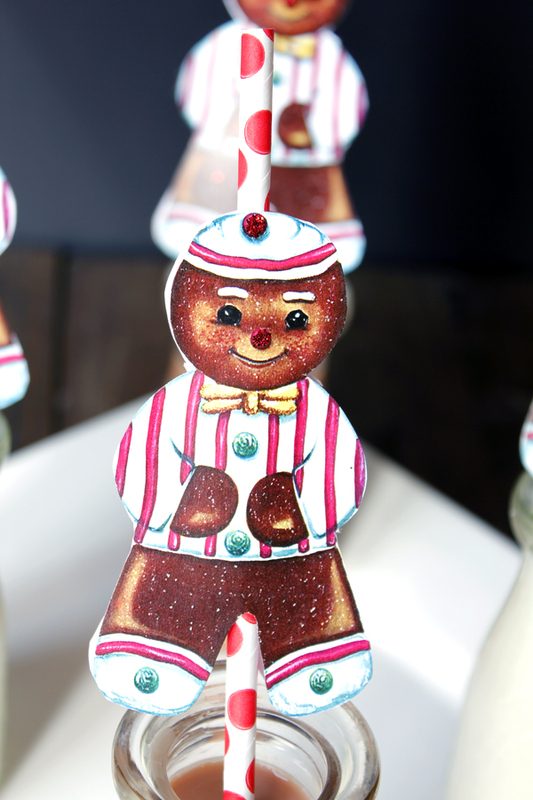 This time we will be using a little Gingerbread Man that is simply adorable with his striped shirt and adorable bow tie. 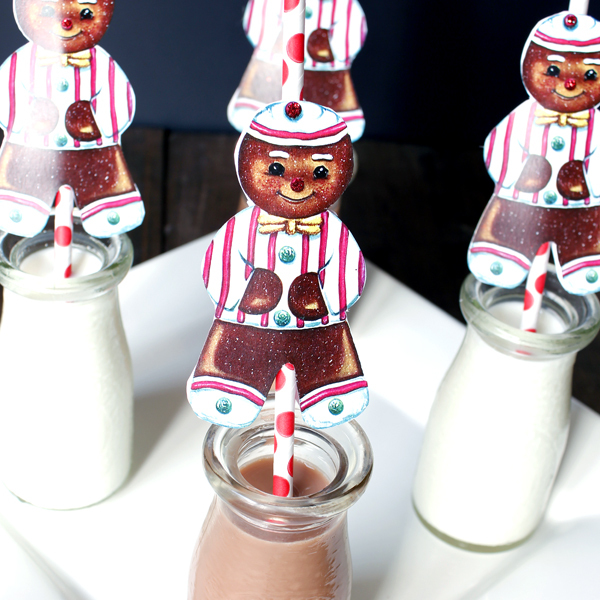 You can do so many things with him…but today he will be decorating straws! 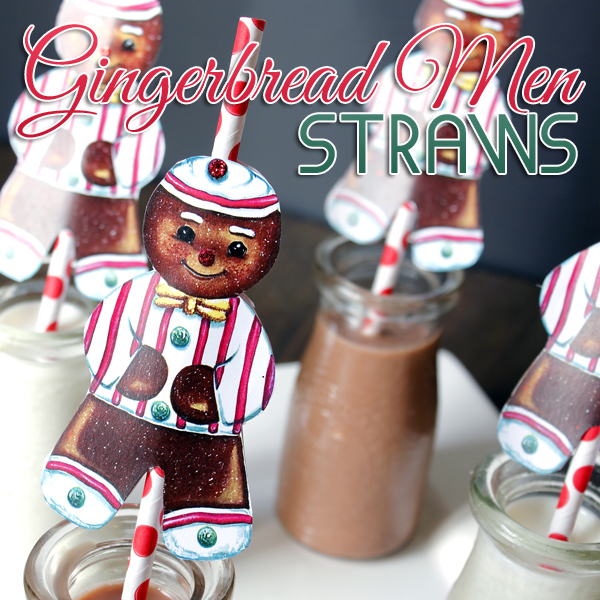 These Gingerbread Men Straws are going to look so festive on your table. Use them for young and old alike! They guarantee you a table full of smiles. Let’s get started! You don’t need many supplies at all! 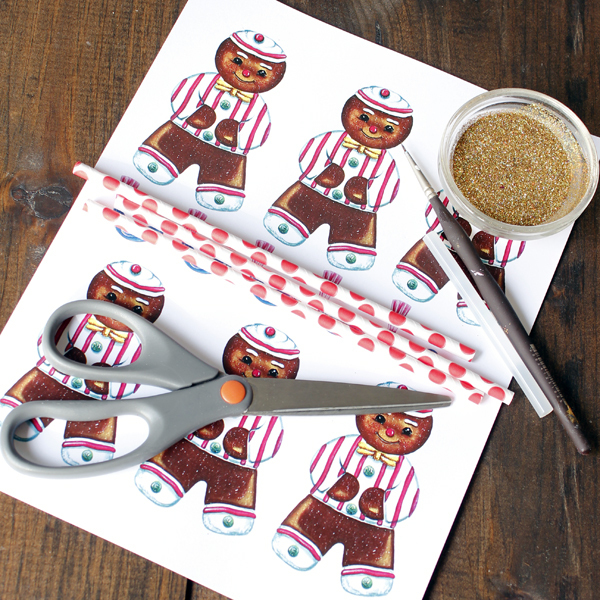 Simply print out your Gingerbread Men (I sized mine at 4 inches but you can make them any size you want to fit the glasses you will be using)…then you need a scissors…hot glue gun…straws…your favorite printed images. That’s it! 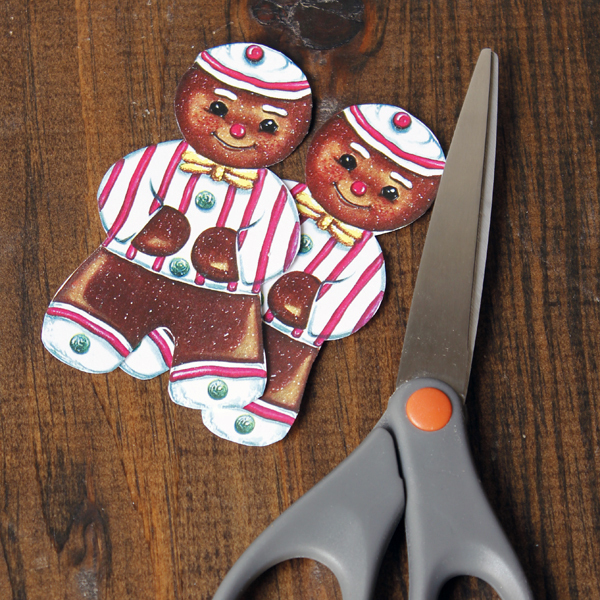 You will be cutting these cuties out in pairs…there is a front and a back! 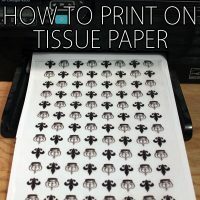 Simply turn them over and apply a dab of hot glue on both side of the arms on the edge and then sandwich them together. You can trim them if they don’t match up perfectly…easy peasy! VOILA! 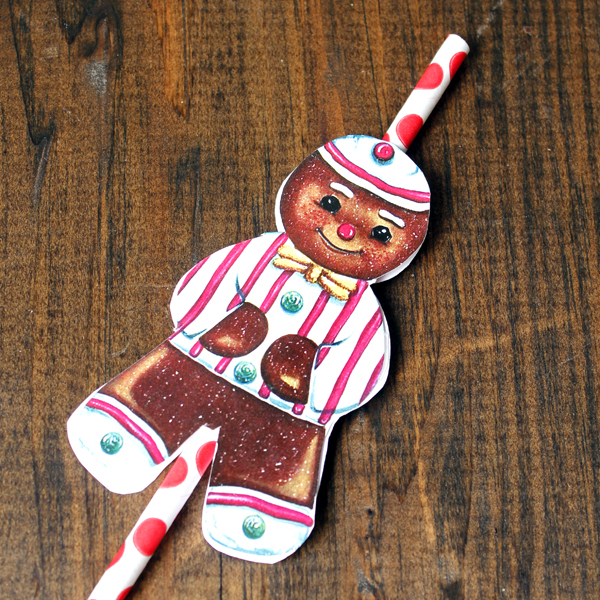 Now just slide a straw into the top of the Gingerbread Man! and have a nice refreshing drink in true Holiday style! Now how quick and easy was that! You can adapt so many of the Graphics Fairy’s images into straw decorations! 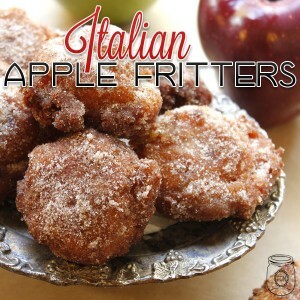 The Gingerbread Man was my favorite and I think the kids will get a kick out them. Hope you make tons : ) I will see you really soon with another quick and easy Holiday DIY Project…but till then…if you want to say hi…I am always hanging out over at The Cottage Market and would love to see you any time…we have tons of Holiday Ideas and more. Oh…if you are thinking of adding a new tradition to your Holiday Meals…how about making fresh Italian Apple Fritters with Caramel Dipping Sauce…YUM! these are adorable but isn’t glitter a bad idea on a straw because it can land in the drink? Yes, I agree Candie. Thanks for pointing that out! I’ve removed the part about the glitter. 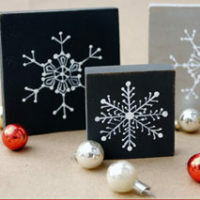 These are adorable and will have to copy!